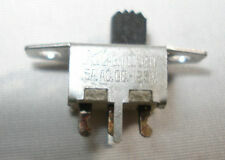 SPDT ON/ON, stationary, two position, three solder lugs. 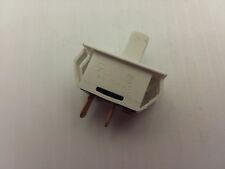 Quantity of 10 Slide Switches. Face: 1.36" x. 550". 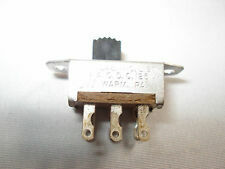 Lot of 2 CW Industries 5A 125VAC Slide Switch NOS. THIS IS A LOT OF 5-SLIDE SWITCHES! LOT CHECKED- BUT AS IS! 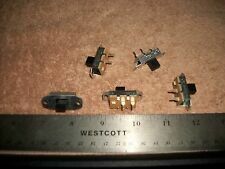 Qty 1 Slide Switch 2P3T 3 Position PCB Mount 3A 125VAC CW UND LAB - NOS. Tape deck, VCR, etc. 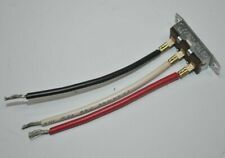 Part number is not visible on component. 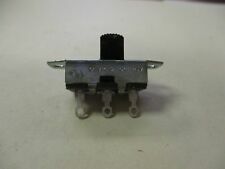 You are buying one CW New On/Off 2-position SPDT PCB Panel Slide Switch 6A/125Volts.